Tiger Drive Scholarship recipients! Linda and Tobias Arreola with Teri Case. Photo by Gretchen Lemay. On June 8th I hosted my first ever book signing event for Tiger Drive and in my hometown, Carson City, Nevada. It has taken me this long to write about it because not only did the event exceed my expectations, but the people who showed up ready to share their personal stories, feedback, tears, smiles, laughter, and strong hugs have humbled me in all the right ways. Please, take a few seconds to look at all of these photos taken by photographer, Gretchen Lemay–they truly say a thousand words. The event took place at Comma Coffee. It was slotted to last two hours but it lasted for three, and for most of that time, the line was either to or out the door. Every time I looked up at the line, I swallowed tears of joy and experienced a beautiful vulnerability. I know–I never knew vulnerability could be beautiful and liberating either. In line were people from different times in my life: childhood friends, parents of friends, high school friends, college friends, coworkers, mentors, teachers, librarians, Tiger Drive Scholarship winners, my family, and some strangers I now consider friends—and they were all laughing, talking to each other in line, and connecting with each other. That night, my life was no longer compartmentalized. All of these people I admire and love were getting to know each other and enjoying doing so! At one point, I looked up and saw Judge Robey Willis. I used to witness weddings with him each Saturday during college. He always bought me lunch and paid me much needed spending money. He unintentionally planted ideas too: he preferred weddings where the bride and groom were in their mid-twenties or older–I decided not to get married before I turned thirty (I’ve been an over-achiever on this point!). And he always asked me about my homework and then left me to get it done. During my senior year of high school, I worked with his wife, Barbara who has since passed. In Tiger Drive, I pay homage to the team at the Nevada State Department of Personnel by giving Carrie a county personnel department student job where she admires and cares deeply for her co-workers. Robey and Barbara Willis were a huge influence in my life (I credit their daughter Liz for the opportunity to meet them). I cried on the spot when we hugged and he told me he came to tell me he read Tiger Drive and that he was proud of me. I’m tearing up retelling this even now. The friend who told me he was glad I could portray how it feels for a man to be afraid to be his true self and find love, and how horrible it is to reject yourself so that no one else can reject you instead. The book club of teachers who told me they are working and communicating with some students in a new way now that they’ve read Tiger Drive. The young woman who will graduate from high school next year and plans to apply for the Tiger Drive Scholarship. The several women who told me that Carrie’s story in Tiger Drivewas their story as children. The woman who told me that she related so much to Janice as a wife and mother, she was considering making huge changes in her own life. The friends who shared their journeys with alcoholism and addiction. These are just a few examples of the two-plus hours of discussions I was privileged to be a part of, and these people have forever changed me as a person and a writer. And all the while I was having these discussions, I was sandwiched between the line of love and support before me and the many books that generous authors signed and donated for the Tiger Drive Scholarship raffle behind me. And we sold over 100 raffle tickets!! I beg you, please check out these authors, buy their books, and sign up for their newsletters. Oh, and did I mention that Sgt. Daniel Gonzales who advised me on the novel popped in to give me a hug? After the event, friends who stayed behind joined me and my family down the street for a late dinner. We laughed together and shook our heads in wonder over the evening. When my brothers who I dedicated the book to would say goodnight, I started crying again (fortunately my youngest sister had already left because, with all three there, I would have done the full-on ugly cry). Me too, Mom. Me too. And now, just as I was proofreading this newsletter (expect to still find typos), I found out that journalist, Teri Vance has written about the event for The Nevada Appealand Carsonnow.org. I found out because my mom sent me an email and then called. To read Teri Vance’s article, click here. (By the way, I really enjoyed talking to Teri. If we would have had more time, I might have told her too much. She is someone you instantly want to tell everything.) A similar article is also posted on Carsonnow.org. I have so much more to share about the week I was in Nevada, the time I spent with family for my nephew’s graduation, and the wonderful people I was able to meet. Special thanks to Gretchen and April for helping me set up the event and for taking photos. And Jennifer Clarke–no one better could have kicked off the event with me–you had me in stitches from the start (as usual). More next week but until then, thank you so much for being you. Not a subscriber? Sign up for my newsletter to receive updates. Tiger Driveis now available on Amazon, Barnes & Noble, iBooks, Kobo, and Ingram. 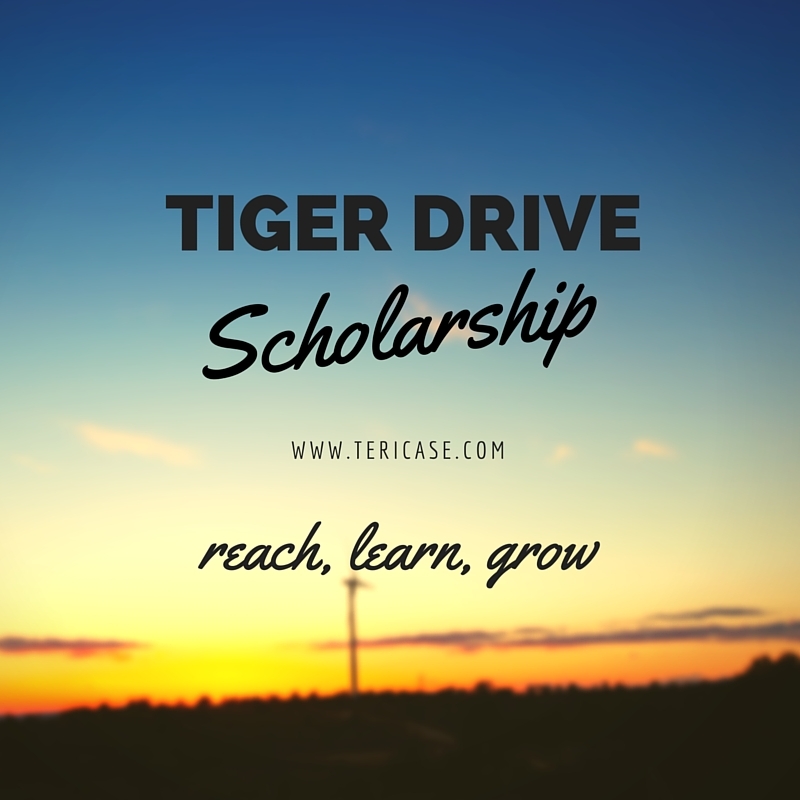 A portion of the proceeds will help fund the Tiger Drive Scholarship. And if you read Tiger Drive, please consider leaving a review on Amazon, Barnes & Noble, and Goodreads. Your opinion will help readers decided if Tiger Drive is right for them. Also, please tell your friends about Tiger Drive. Word of mouth is everything. And Coming Soon to a Dog Park Near You in 2019!